Friday, November 14, 2014 might end up being an important date in Western history—not for what happened on this day, but rather for what didn’t happen. The French government failed to deliver the new Mistral class helicopter carrier to the Russian Navy. Image by Rama, wikimedia commons. On December 24, 2010, French President Nicolas Sarkozy announced the sale of two French Mistral class ships to the Russian Navy. The contract was signed on January 25, 2011, with a delivery date for the first helicopter carrier, the Vladivostok, in October of 2014 and the second ship, the Sevastopol, to be delivered in 2015. Two more ships of the same class were then to be constructed under license in Russia. The price of the contract for the first two ships was 1.37 billion euros. This, of course, represented thousands of jobs for the troubled French economy. In what was likely a well-rehearsed press briefing, Russian reporters asked Russian General Staff member General Nikolai Makarov why the ships would not be built in Russia where Russian workers could benefit from the project. General Makarov stated that the reason for purchasing the French design, rather than Russian, was that “Russia would require another ten years to develop technologies” that could match the Mistral class capabilities and that the Russian Navy did not want to endure that delay. In answering the question, he effectively confirmed the concerns of the US and some of its NATO members. When the contract was announced in 2010, US Republican senators, led by John McCain, sent a letter of protest to the French Ambassador to the US. NATO member states Lithuania, Latvia, and Estonia also protested against the sale. During his visit to Paris on January 8, 2011, US Secretary of Defense Robert Gates expressed US concern over the substantial military technology upgrade that the French were exporting with the sale of the Mistral class ships to Russia. When questioned by journalists, Gates’ representatives stated that, in spite of US concerns, there was nothing that the US could do to block the sale of the Mistral ships to Russia. France had anticipated the complaints and ignored them. The construction proceeded on schedule. 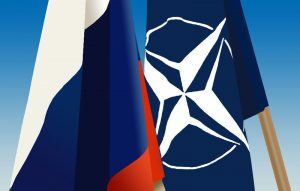 On February 27, 2014, when the Russian flag was hoisted over the Ukrainian parliament in Crimea, the pending transfer of the Mistral ships to Russia quickly became a much more serious problem to Ukraine, to NATO member states, and to Sweden. With a planned delivery date of October 15 looming on the horizon, the US and NATO quietly stepped up pressure on the French government to halt the sale of the high tech Mistral ships. The French quickly complained that they would have to reimburse Russia the 1.1 billion euros already paid for the ship construction, and that it would cost France over a thousand jobs. Members of the US Congress responded that NATO should purchase the two ships for use by the NATO Standing Force Atlantic and NATO Standing Force Mediterranean. NATO was slow to respond, but after a few weeks, they decided that they lacked the funds and mechanism for making such a purchase. In reality, if the UK and the US cooperated, an offer to purchase the ships at their original sales price could be made within days. France would have no doubt as to the validity of the offer, but that does not mean that France would easily agree. In less public communications, the Russian government offered, in general terms and without producing a contract, to make further substantial warship purchases from the French shipyards if France delivers the two Mistral ships. Russia is also in a position to quietly make a variety of generous financial offers to the French government or to members of the French government. I am not aware of what other offers have or have not been made. Image by Mailoanton, wikimedia commons. In response to pressure from its fellow NATO members, France delayed the projected delivery date to November 14 with the condition that a cease-fire and a permanent political solution be in place by then. Only days before the deadline, Vladimir Putin did what he always does best. He hurt Russia. On November 10, 2014, Australia deployed warships to shadow Russian warships that had approached the Coral Sea. On November 13, the Russian ships were in the Coral Sea, where they approached, but did not enter, Australian territorial waters. This bit of Putinism was in response to the announcement by the Australian government that at the G-20 meeting, they would confront Vladimir Putin about the fact that Russian forces had shot down Malaysian Airlines Flight MH17 on July 17, 2014. Thirty-eight Australians were killed in that attack. On November 12, another Russian armored column crossed into Ukraine, further escalating the Russian invasion of Ukraine, and making it more politically difficult for France to deliver the ships. The November 14 delivery date has now passed, and France has thus far declined to turn over the ships to Russia. The Russian government responded with its traditional lack of finesse. It officially announced that it would make financial claims against France if the first Mistral is not delivered by the end of November. Less officially, but quite publicly, they have announced that the financial claims would be in the neighborhood of 3 billion euros, and that France would face “grave consequences.” France responded by stating that it would not be forced into any decisions by anyone outside of France. In spite of what Vladimir Putin’s media machine will tell the Russian public, Russia is, in fact, in no position to deliver and “grave consequences” to France. The Russian ships in the Coral Sea are not capable of overcoming Australia’s defenses, but the move plays well on Putin-controlled state media. As for Australia, Putin doesn’t give a damn what anyone in that country thinks. he would like to deliver. While NATO maintains that it cannot purchase the two Mistral ships from France, some interesting options are available. In 2010, Poland expressed an interest in possibly purchasing a Mistral class ship from France. For lack of funds, no offer has been tendered. 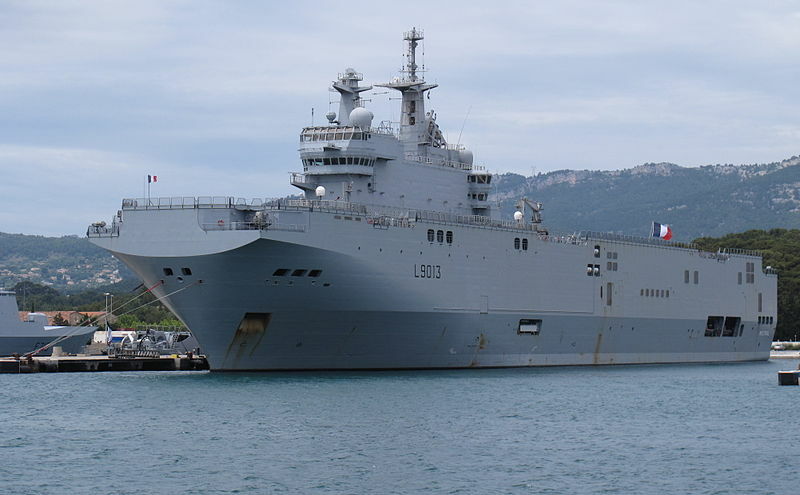 Canada, a nation that has the funds, has also expressed an interest in purchasing two Mistral class ships from France. The UK, a nation that has the funds but won’t give the funds to its navy, has not expressed any interest in purchasing a Mistral class ship. Perhaps it should. With the once mighty Royal Navy currently reduced to having no carriers in service, the purchase of a single Mistral class helicopter carrier could serve to boost the Royal Navy’s defense capabilities until the two new Queen Elizabeth carriers enter service sometime after 2016. The helicopter carrier would remain useful to the Royal Navy long thereafter. The likelihood of the UK considering the purchase of one of the Mistral carriers is approximately equal to the likelihood that I will win the lottery. I don’t buy lottery tickets. Since the US is expected to pick up the slack from the Royal Navy, and since there is next to no Canadian navy afloat from which to pick up any slack, it is in the direct interest of the US to offer partial financial assistance to Canada or to Poland for the purchase of the two Mistral carriers. The key to getting such a deal done would be to allow the French to announce that any such arrangements were the results of inspired, avant-garde thinking by members of the French government. Neither Canada nor Poland would care who claimed credit for any such deal. My best guess is that between now and the end of November, Vladimir Putin will not learn to act in the best interests of Russia. Russia will continue its aggression against Ukraine, and, therefore, France will want to avoid suffering the political damage that will result in supplying Russia’s invading military with a new high-tech warship. Time still remains for France and its Western allies to come to their senses and redirect the Mistral ships to an allied navy. Whether or not reason will prevail in the long term remains to be seen. 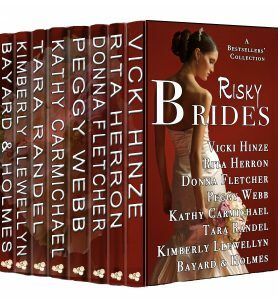 The Spy Bride Blogger Challenge! 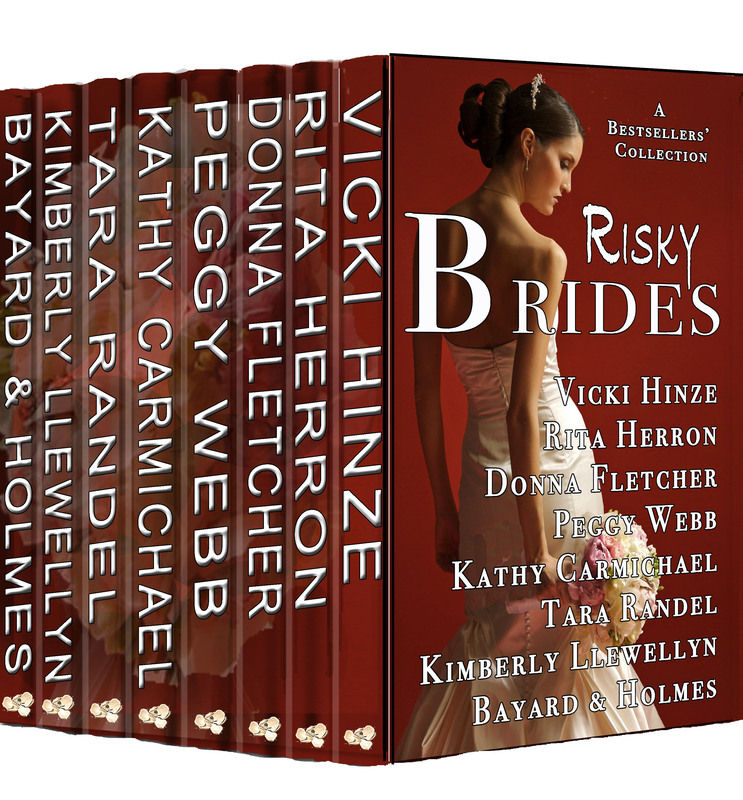 We also have some wonderful prizes for our readers to celebrate the success of our debut novella, THE SPY BRIDE, in the bestselling RISKY BRIDES collection. Sign up for the Bayard & Holmes newsletter, The Covert Message, and be automatically entered to win a Secret Decoder Ring, a stash of Ghirardelli chocolate, or a bottle of sparkling wine from Mumm Napa vineyard. Yes, the RN has fallen on VERY hard times. They’ve sacrificed just about all their capability in order to get those big carriers – of which, I believe, just one will be made fully operational at any given time. Lord Fisher must be spinning in his grave. As for the Russian units in the Coral Sea – classic Cold War sabre-rattling, though this kind of South Pacific adventurism has been pretty traditional. They were doing much the same in the 1880s, provoking a hilarious hoax here in NZ in which a paper (successfully) convinced Aucklanders that a British warship in harbour had been secretly taken over by the Russians, who’d sneaked their cruiser’ Kaskowiski’ into the Waitemata for the purpose and deployed ‘mephitic water gas’ to stupefy the hapless Bluejackets. Apparently nobody read the story aloud… Indeed, the fact that it was swallowed whole underscored the credibility of the Russian threat here at the time, which was precisely what the editor, D.M. Luckie, had in mind. Hi Matthew. Thank for that bit of history. I enjoyed it. Ouch…but at least France made the correct decision. I’m sure it was entirely their own devising. Hi Dave. I think the real “correct decision” for France would have been to never agree to delivering more war technology to Russia in the first place.